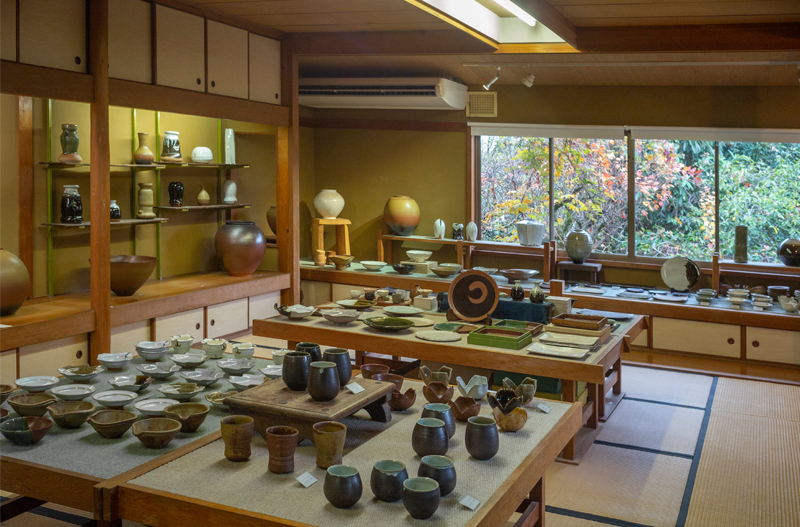 In Fukuoka prefecture , Tagawa county ,Fukumachi’s Agano where ceramics are continiously produced and a kiln was built over 400 years ago for the purpose of producing tools mainly used for tea ceremony, also many magnificent ceramics pieces came from there. Currently I continue to work with the motto of creating items that will give richness and healing vibe to the modern life while inheriting that tradition and will. 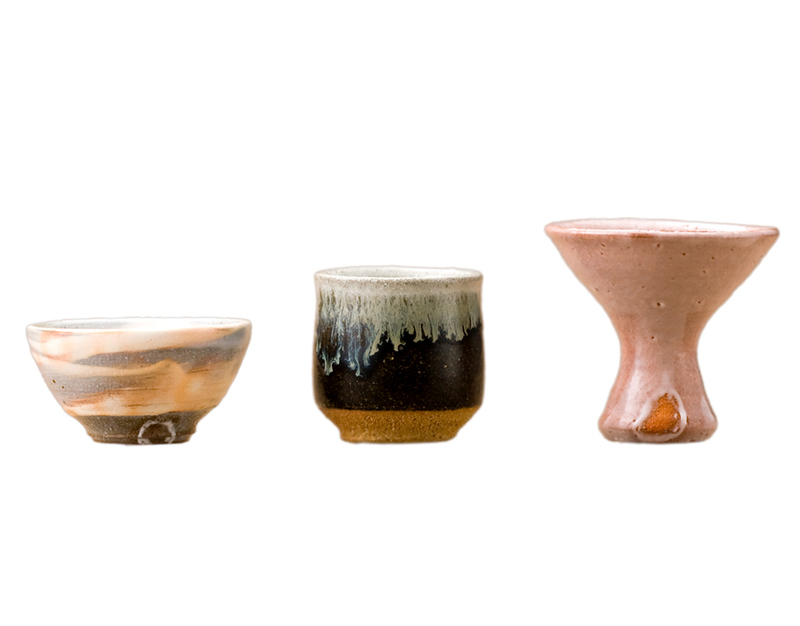 I was born in family of Aganoyaki soke Watari potters in 1968. After graduating from the Tokyo Zokei University sculpture department, I was traveling around Asia. In 1994, I returned to Agano which is my hometown, and studied under Wataru Kubei (father). 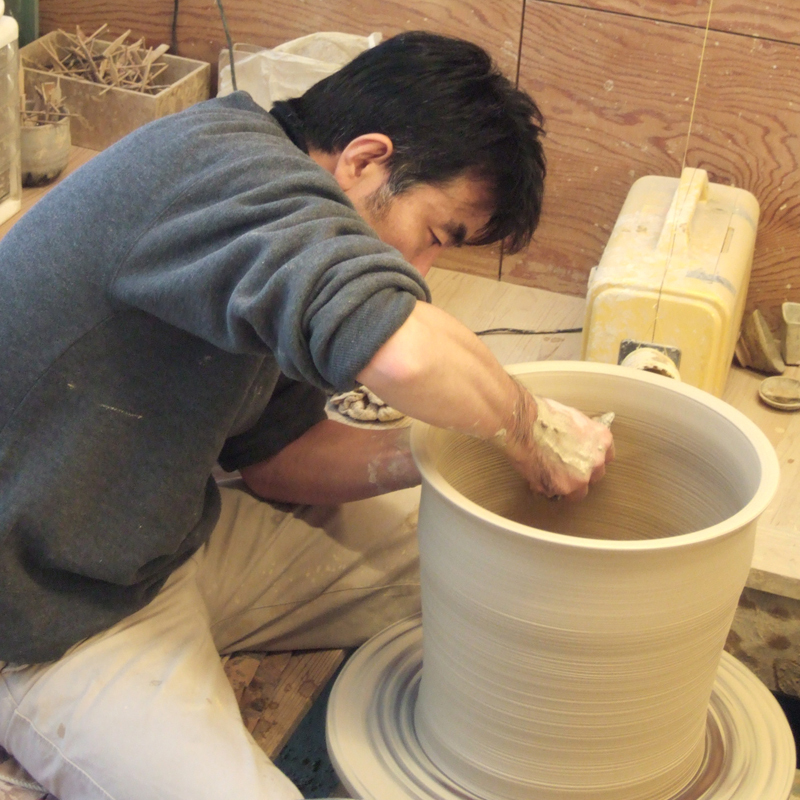 Currently, I am twelve generation of Watari potters and continue my artwork. 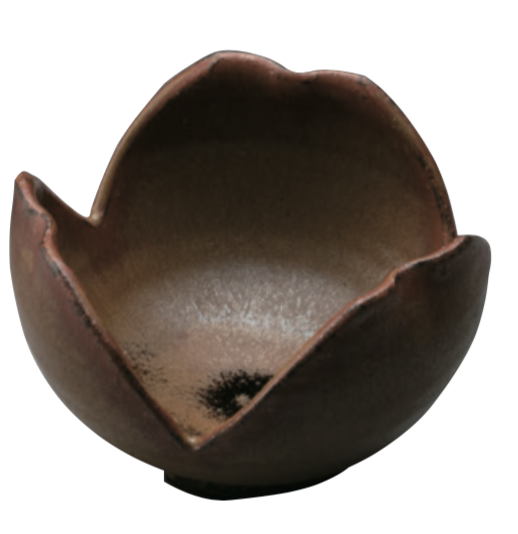 Warizansho which was designed and made 400 years ago by Aganoyaki is now often used as a small bowl of dishes served first in traditional Japanese restaurants. 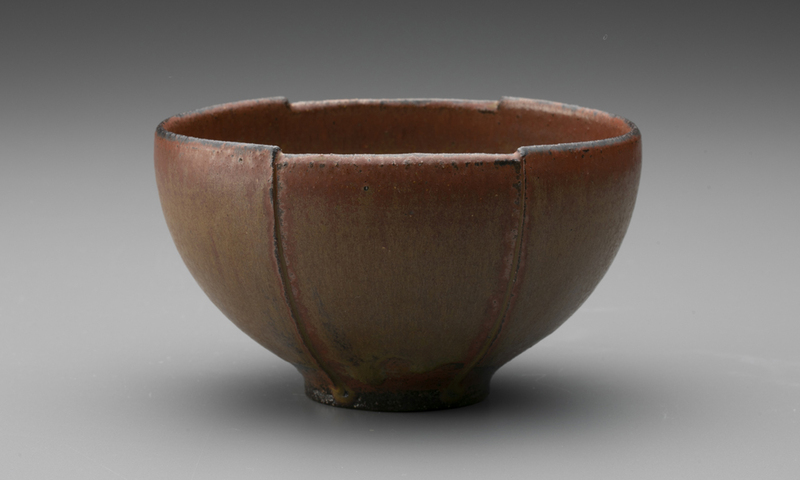 In the auction held in 1929, the winning bid amount of this vessel made in the early Edo period was more than 45 million yen if convert it to the current price and even in those time it was a special piece. 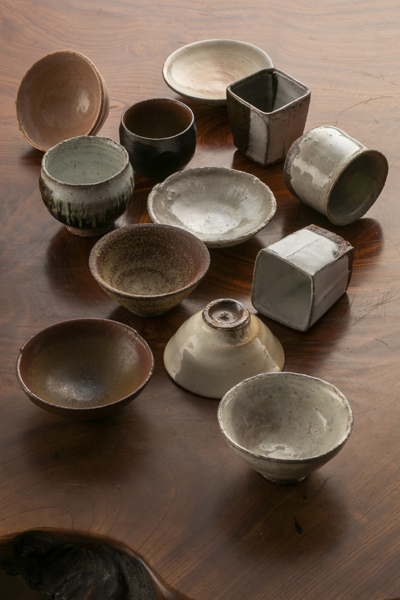 In Aganoyaki many kinds of glaze are used in a long 400 years of history. Moreover, even in one glaze shows us totally different expressions and colors by way of baking and chemical change due to high temperature. 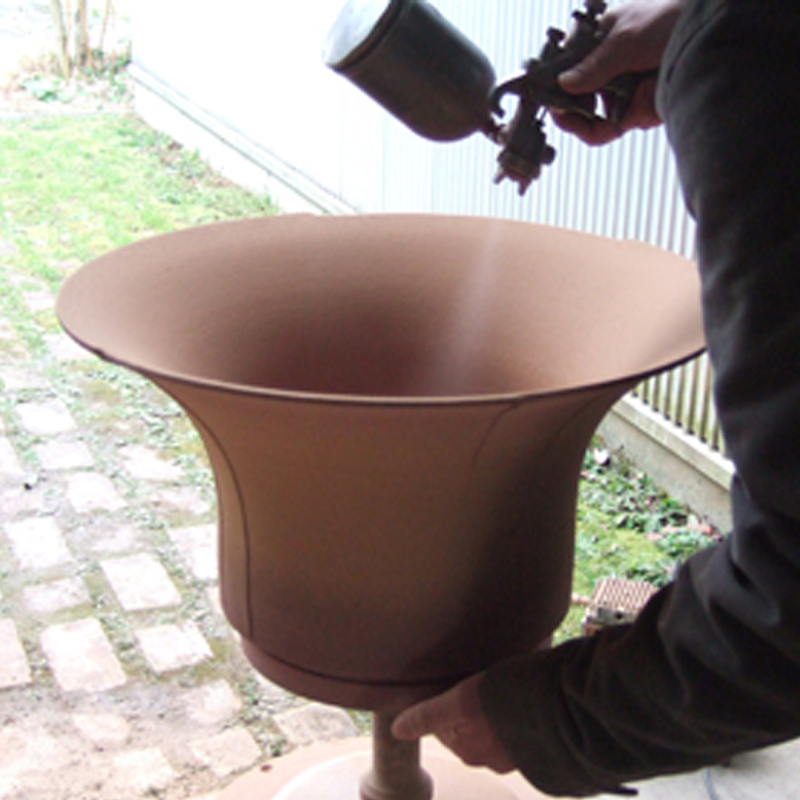 When making good pottery, it is necessary to use good quality clay. 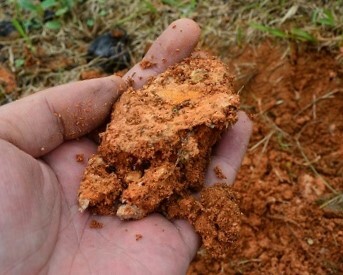 It takes a lot of time and effort to refine the clay so that the soil of Agano can be used to bring out the features of the soil to it’s best. 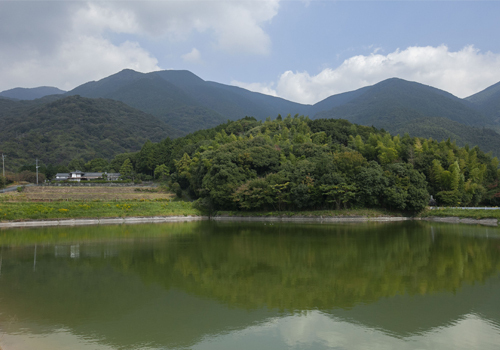 Because location of the slope is facing the south of the mountain , before Agano was surrounded by bunch of pine trees. The reason that the fuel for burning the pottery never runs out is that in this area pine trees - high in caloric value - grow here abundantly. 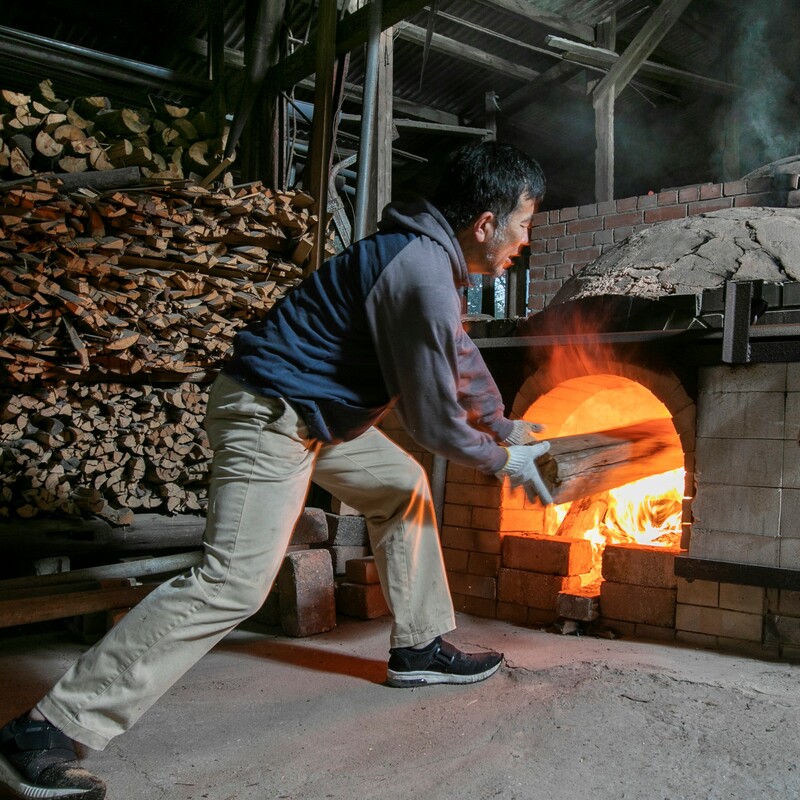 Aganoyaki, when Totoyomi Hideyoshi came back from Korea(Japanese invasion of Korea)he invited korean style potter Sonkai - first founder , so Hosokawa Tadaoki opened kiln as a public Tea pottery kiln. 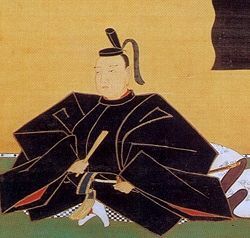 Sonkai changed his name to Agano Takakuni after this place name , and he kept serving exclusive tea ceramics to Hosokawa Tadaoki who was one of seven disciples of Sen no Rikyu. 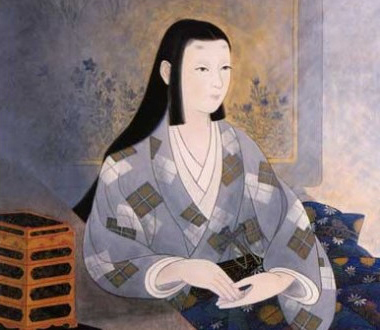 After that Sonaki moved to Kumamoto following his feudal lord Hosokawa but Totoki Magozaemon(Sonkai's second son) and Watari Kyube (Sonkais son in law)stayed in Agano and kept serving to new feudal lord Ogasawara in Sarayama Kiln(Agano). 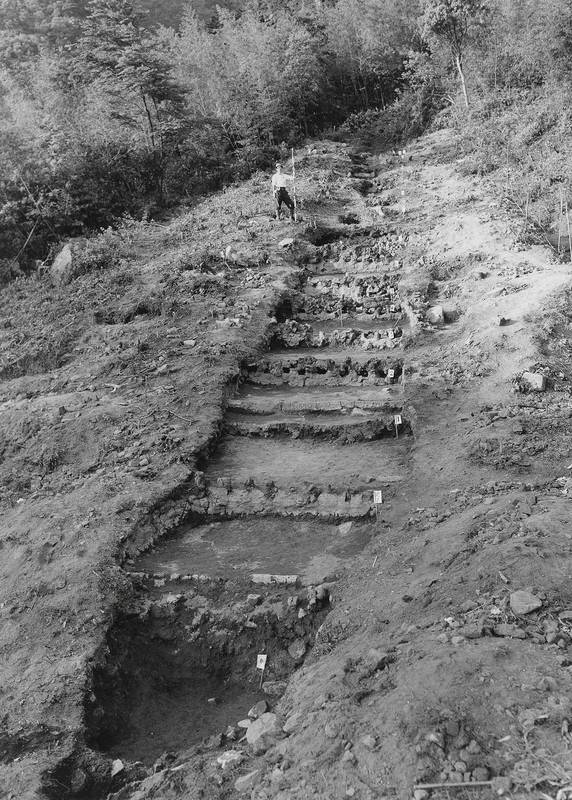 Kamanokuchi kiln is the first ascending kiln built in Agano. 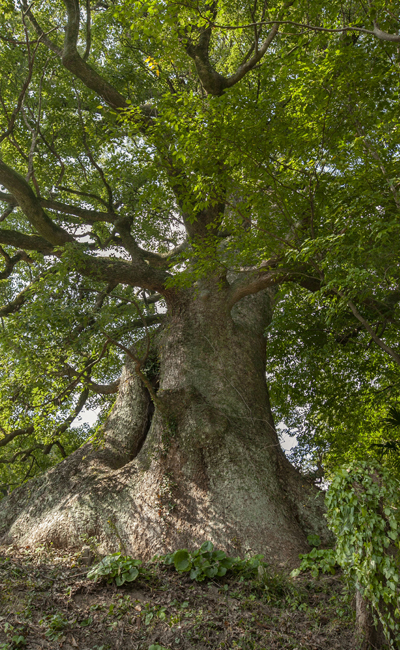 The length of 41 meters was the largest scale in Japan. This days its be eroded by bamboo and grass so it is necessary step to preserve cultural properties including kiln remainsand surrounding living area. 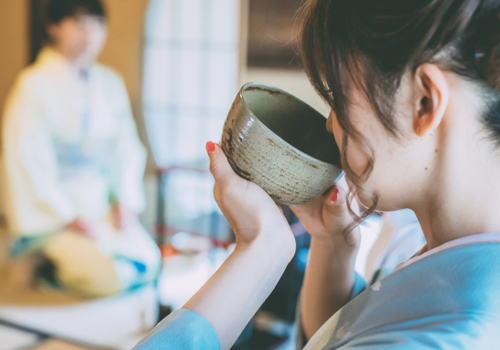 There's some speculations that in traditional Japanese culture - some practices of tea ceremony has been influenced by christianity and has few things in common. One thing is that Tea ceremony and christianity was spread in the same time. Takayama Ukon, Makimura Hyobu, Gamo Ujisato were Sen no Rikyu Christian seven desciples called "Rikyu Shichitetsu" and seems like Furuta Oribe and Hosokawa Tadaoki were christians as well. 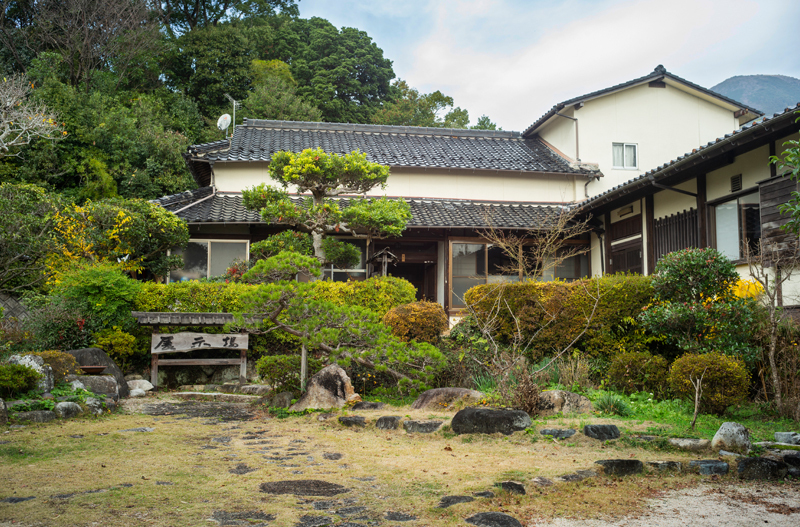 Tadaoki's wife, Hosokawa Gracia was a famous Christian, and a tea room was also built inside the church in Kokura by Tadaoki to commemorate Gracia. 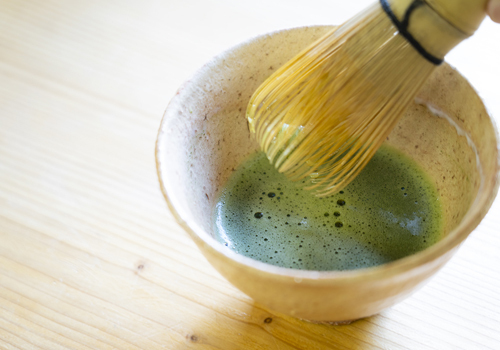 Sen no Rikyu established passing around tea cup custom (dense green tea), so tea was drank little by little and passed around to next customer. In Japanese culture with a certain sense of distance from others, this is quite unusual, but by sharing one tea cup, we can share same values. 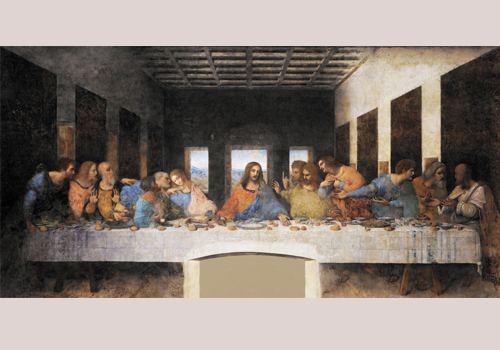 In Christianity last supper is regarding to bread as "body of Christ", wine as "blood of Christ" and was given to Christ disciples. Sen no Rikyu reflected this idea in the tea ceremony because it is the most important act of sharing "same values" by everyone. "Entering through narrow gates" means that you can not pass through the gate of heaven while holding the things of this world such as property, status, fame, weapons. 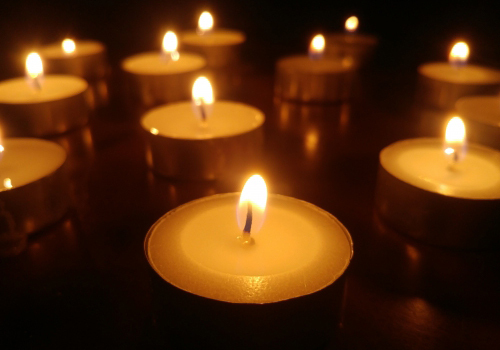 It means that those who tossed them away can entered narrow path leading to heaven. 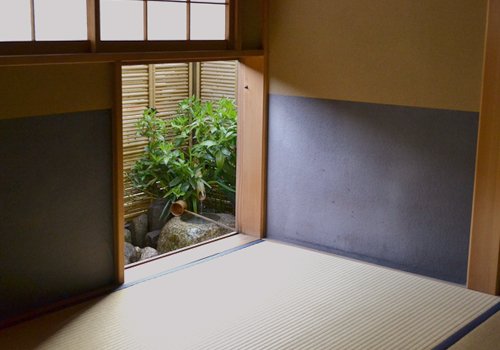 "Crawl-through doorway" in the tea ceremony faithfully embodies this idea. 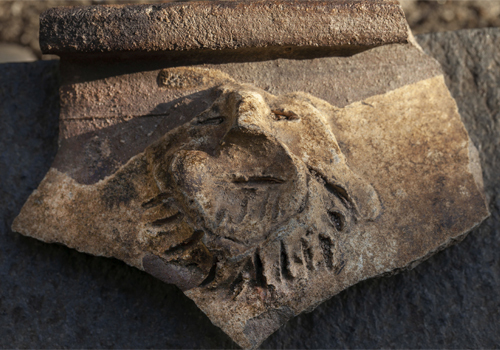 Ceramic mask that appeared from traces of 400 years old klin. 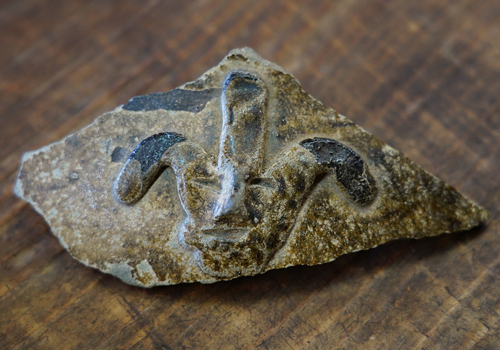 From the Kamanokuchi kiln trace (1602 to 1632), three ceramic mask were excavated in the same place. From the shape of the face that doesn't look like an Oriental, from the three corners of the head and the beard, brings speculations that it is a Prophet Moses, an angel Michael or a demon Baphomet. It is imagined that it was attached to the same body vessel based on the Christian tale and that it was used for missionary work. Perhaps it was a vessel that is showing crying for help from the strict suppression of that time administrator as a message "God is my only Judge". Hosokawa Tadaoki's wife Gracia was baptized by a spanish Jesuit pirest Gregorio Céspedes that she met in Osaka. 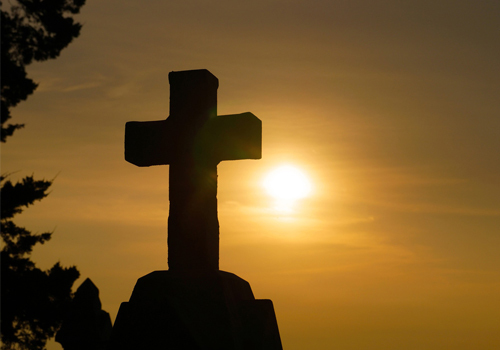 This Jesuit priest was mour- ning after Gracia's death. Tadaoki to return - this favor hide the priest under the Kokura ca stle. In Kokura castle there is a Saienjo kiln that is said to be a kind of pottery event mad -e for the feudal lord, and he frequently brou -ght pottery from Agano. Tadaoki built a churc -h for the priest, and there is even a tea roo -m inside. So the tools used in the tea ceremo -ny were could be made ? 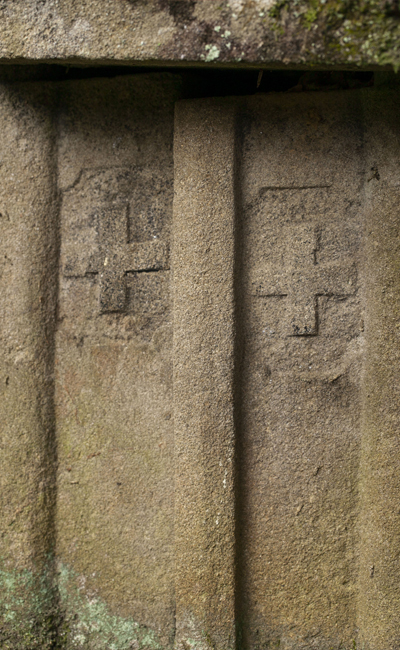 The (Christian)grave of Kagayama Hayato? 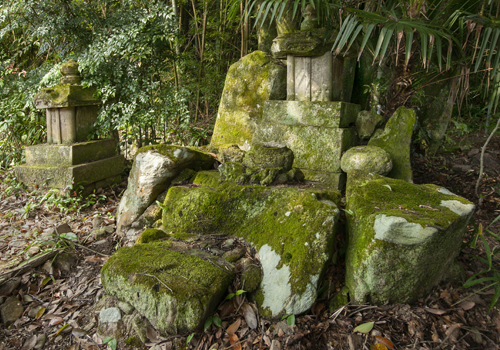 The grave which is seems to belong to Hayato Kagayama who was very close Chefs retainer of Tadaoki is placed in the upper village from Agano where is now standing peacefully. After Hayato died his grave was built in Agano - place of his doughter home arrest (who was a christian). Also, from the Cruz pond, where related to christianity relics were excavated you can imagine that many hidden Christians lived quietly in the surrounding area. a statue of Kannon and Mary ? In Koganji temple stepping on sacred pictures was done. 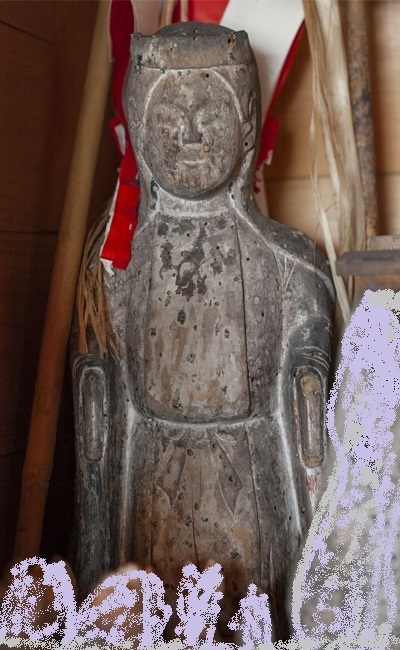 Picture tram -pling is a method of disgracing the picture of Jesus Christ to disco -ver the Christian believers that the Edo Shogunate banned at the tim -e. Also, the Kannon statue of the wooden sculpture with no part abov -e the elbow is considered to be the image of Mary holding baby Jesus in her arms. 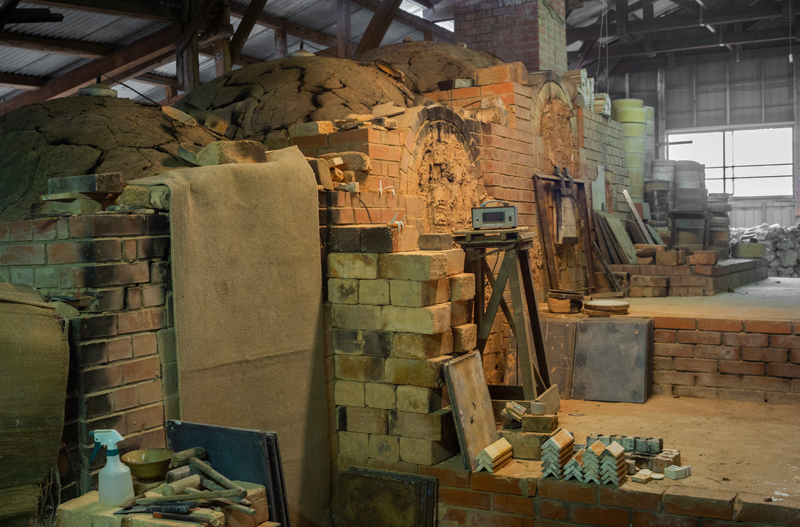 Production processI would like to introduce the four general processes of pottery production. lay the soil for several months. of microbs when allowing it to rest. r filter in an unglazed bowl until the water is in moderate state , and lay the soil for several months. 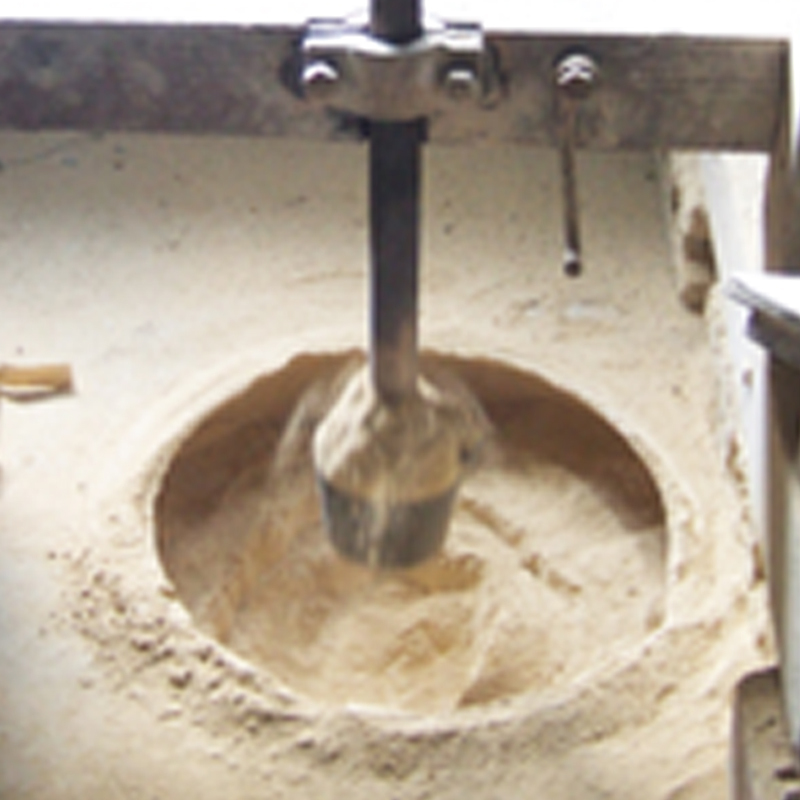 This image shows a large flower vase on a lathe. After this, iwhen drying will progress to a certain extent, lower part will be scraped to desired shape. 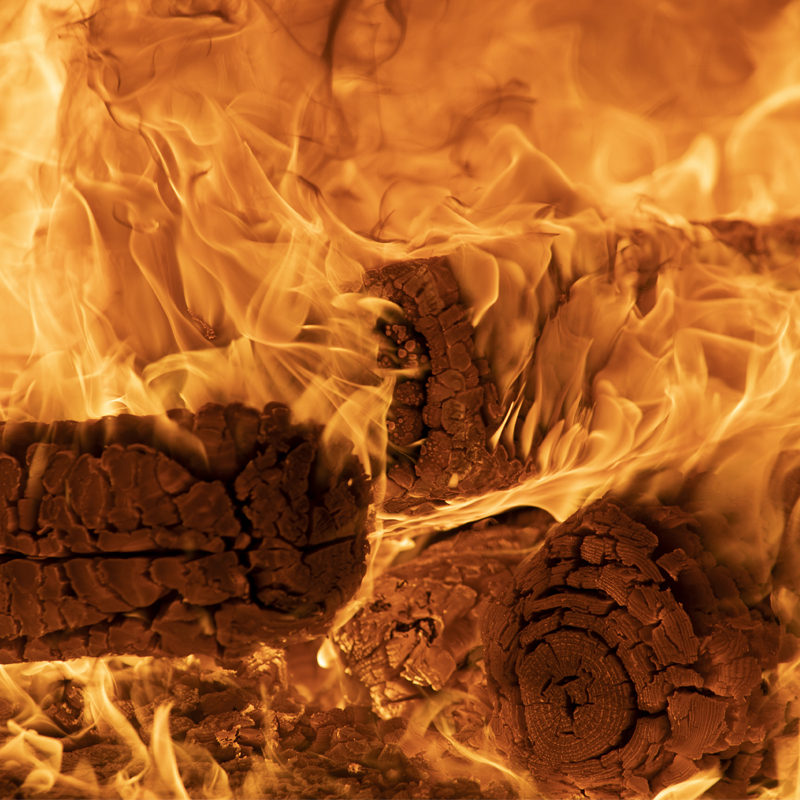 Aganoaki use raw materials as ash (w ood ash) strawash iron-containing stone (burned) copper etc. Especiall y refining ashes takes a lot of tim e and effort. Either way, choosing raw materials and refining methods a re very important but time consuming work. The glaze is prepared by comp ouding raw materials. The picture sh ows glazing the glaze with spray gun. in ascending kilns using coil. but in the end it's heaven's help. Please call us to ask about irregular holidays.